It promises to be...oh, so sweet! 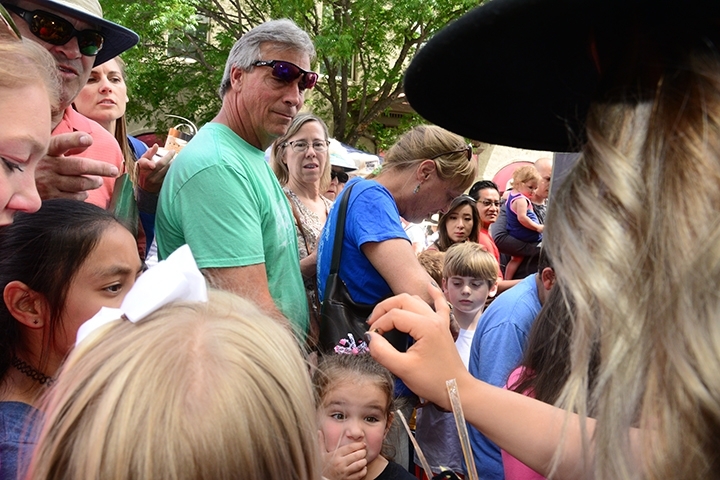 The inaugural California Honey Festival, to take place from 10 a.m. to 5 p.m., Saturday, May 6 on a four-block stretch in historic downtown Woodland, will draw folks from all over state and beyond. And it's free and open to the public. Coordinated by Amina Harris, director of the UC Davis Honey and Pollination Center, the festival will offer honey sampling, mead, live bands, talks on beekeeping and bee friendly plants, and vendors offering bee-related wares. 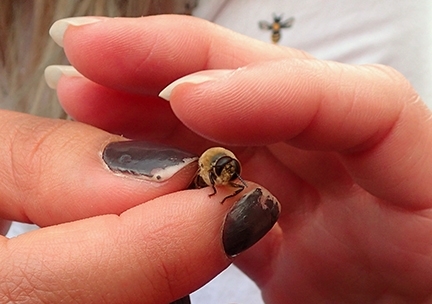 And that's just the "bee-ginning." At the Honey Lab, located in the UC Davis booth, members of the UC Davis Master Beekeeper Program and knowlegeable volunteers will teach festival-goers about "all things honey." "The California Honey Festival's mission is to promote honey, honey bees and their products, and beekeeping through this unique educational platform, to the broader public," said Harris. 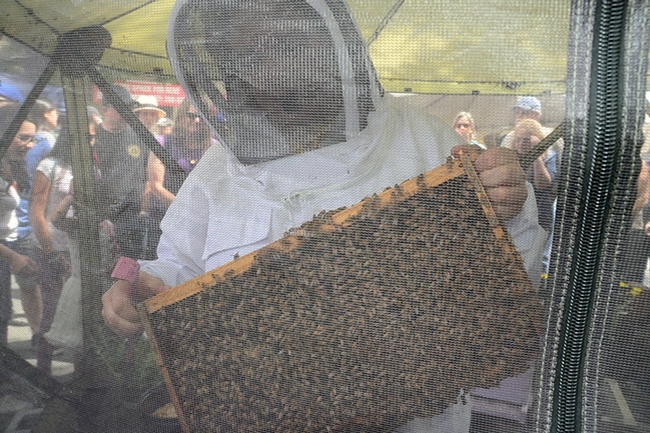 "Through lectures and demonstrations, the festival will help develop an interest in beekeeping by the younger generation. 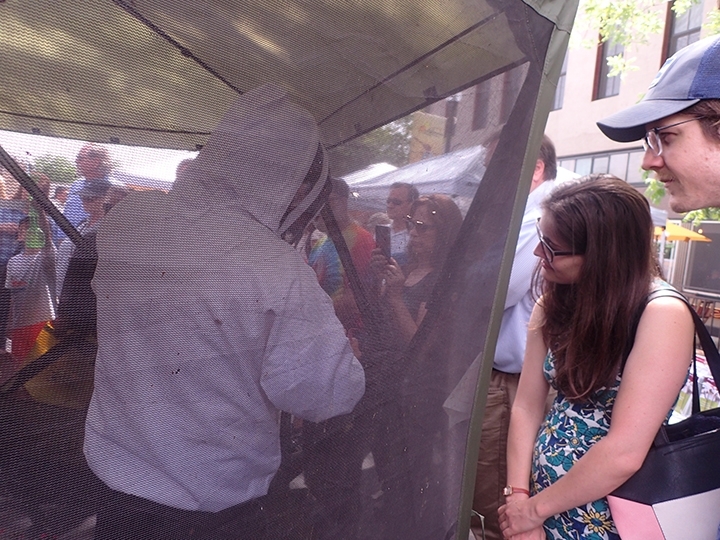 Attendees will learn about the myriad of issues that confront honey bees including pesticide use, diseases and even the weather! In addition, attendees can learn how to creatively plant their gardens to help feed all of our pollinators. It is important for the community to appreciate and understand the importance of bees as the lead pollinator of many of our crops adding to the food diversity we have come to enjoy." 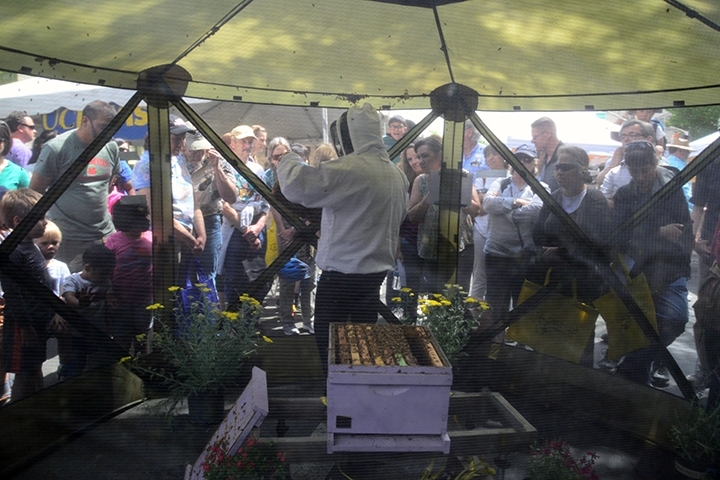 One of the speakers is longtime beekeeper Gene Brandi of Los Banos, president of the American Beekeeping Federation, who will speak on the Beekeeping Stage from 10:30 to 11 a.m., and again from 1 to 1:45. 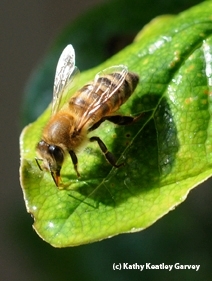 Brandi began working with bees in the early 1970s while attending California Polytechnic Institute (Cal Poly) at San Luis Obispo. 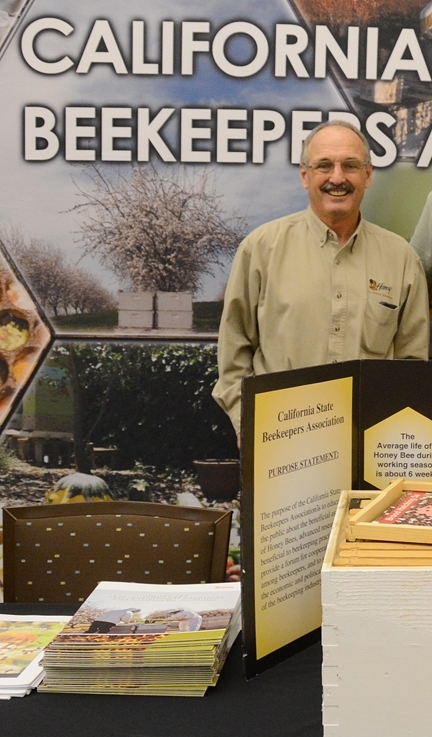 After graduation, he began working the bees full time, starting his own business in 1978 and building it up to 2000 colonies. 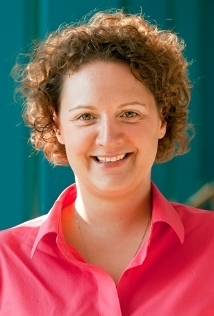 Brandi, who spoke at a 2015 symposium at UC Davis, said that the major issues that negatively impact colonies include pesticides, varroa mites, nutritional issues and diseases. 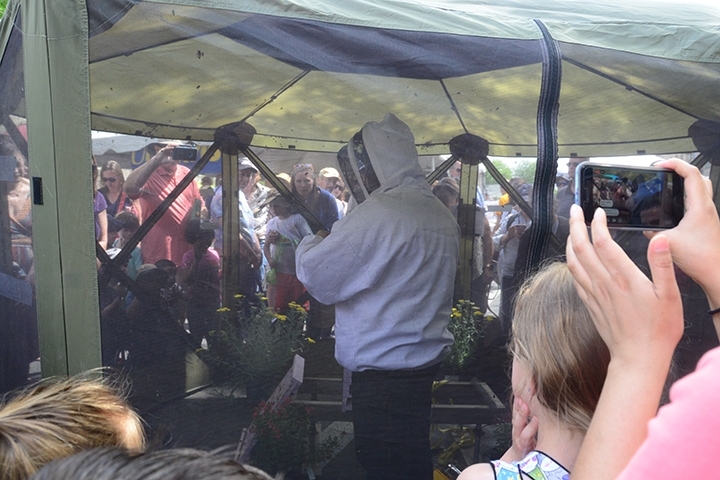 "It's much more difficult to keep bees alive and healthy today than it was in the 1970s," he told his audience. "I had a 5 percent winter loss in the 1970s, and a 13 to 45 percent winter loss in his operation during the past 10 years." 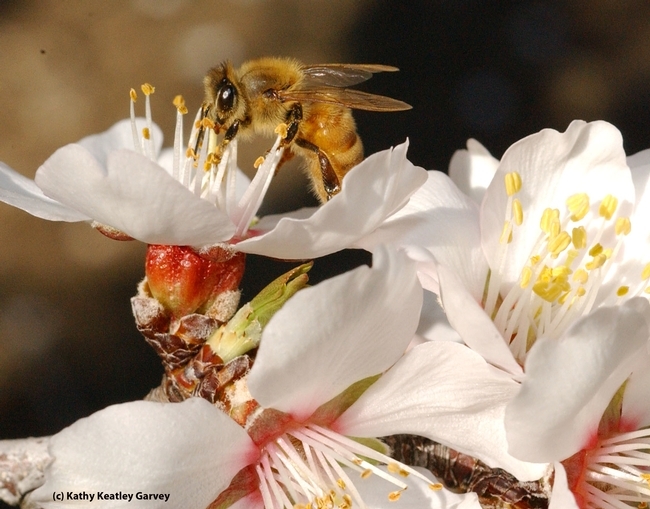 Among the many other speakers: Extension apiculturist Elina Niño, booked from 11 to 11:45 a.m. and from 2 to 2:45 p.m., and Billy Synk, director of pollination programs for Project Apis m., and former manager of the Harry H. Laidlaw Honey Bee Facility at UC Davis. Sync speaks from 12 to 12:45. The California Honey Festival website includes a program schedule. 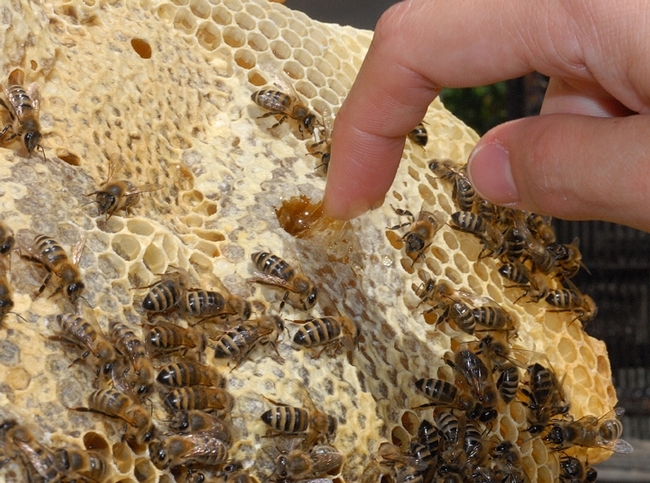 Expect lots of honey--which has been described as "the soul of a field of flowers."